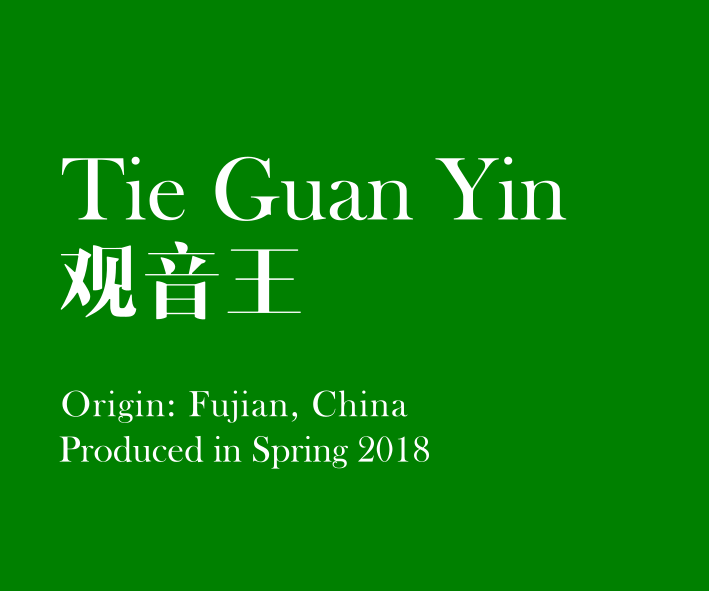 'The famed Tieguanyin (观音王), also known as Iron Buddha tea, derives its name from the tale of a farmer who was given a vision by the Iron Buddha in his dream to discover the tea plant. The leaves are fermented through withering and tossing and rolled before roasted. Harvested in Fujian, China during Spring 2018.